How do I export Timecards based on positions? 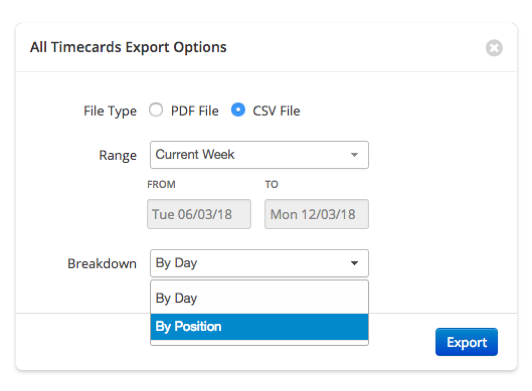 You can now export your employee timecards and report on which positions they worked for their shifts! If, in attendance settings, Sunday hours are not tracked separately, all the hours tracked are broken down by position. hours are broken down by position and Sunday hours are tracked separately.